Pretty clear crystal scaffold bar which will add some sparkle to your industrial ear piercing. 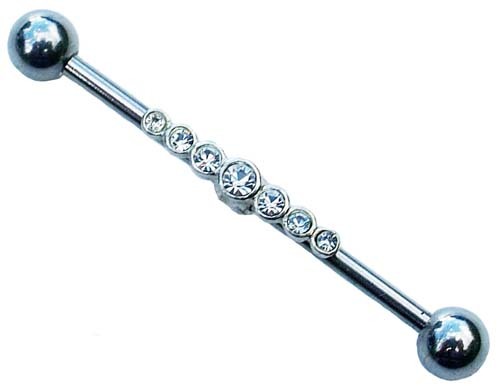 These surgical steel barbells are available in a 30mm, 32mm, 34mm, 36mm or 38mm length. The cute sterling silver removable charm measures 15mm, so with care can be taken off and used on other barbells. Powered by ShopFactory to sell P12590 online. All-in one eCommerce and online shopping cart software.